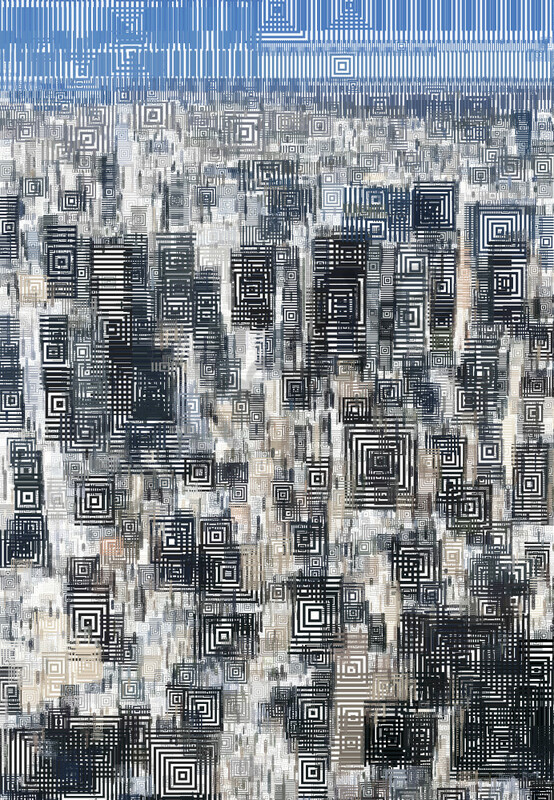 This complex tapestry of concentric rectangles is based on a photo of downtown Manhattan. All the colors are taken directly from the urban palette of grays and browns which contrasts beautifully with the clear blue sky. Order this one large to get the full impact of the scale and tiny details.